Air Inverter is the heat pump for heating, cooling and domestic hot water production. The machine is an advanced system that takes advantage of the high efficiency 75 100% to% renewable energy. 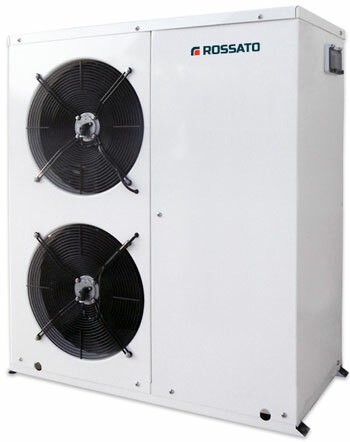 These heat pumps are designed using the DC inverter technology. La DC inverter technology allows you to vary the frequency of the power unit. In this way, the heat pump always operates at optimum power, with an automatic modulation of the power according to actual needs. Air Inverter ensures particularly high seasonal performance, both in hot than in cold. 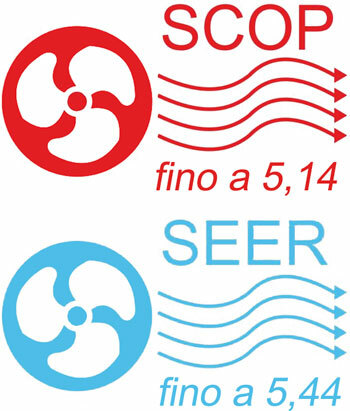 The seasonal coefficients of performance SCOP and SEER represent the relationship between the need for heating / cooling and the annual consumption of electricity for heating / cooling. The criterion of measurement for SEER and SCOP is very reliable and allows to determine more accurately the performance of the system during the entire calendar year, measuring in different operating conditions. Seasonal high coefficients of performance are the only real guarantee of reduction of operating costs. The DC inverter compressor is the heart of the heat pump. The inverter technology allows to change the power supply frequency of the electric motor that drives the compressor, allowing to operate proportionally to the actual needs of the plant. This allows a significant reduction in fuel consumption and a significant increase in seasonal efficiency. The hydraulic circuit is completed by the pump with EC motor with permanent magnets with electronic adjustment. The circulator technology allows automatic modulation of the water flow according to the request and the load losses of the system. In this way you avoid wastage and unnecessary stress to the piping and other components installed and helping to ensure the high efficiency of the unit. 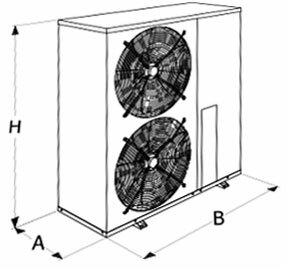 The fans are set not to exceed the 70% of the maximum speed, while keeping available a 30% only used in the case in which the machine will need, such as in the case of very high temperatures. This device has been designed to ensure greater savings and reduced noise, especially in the evening and night hours. The electronic control via the display on the machine allows you to harness the energy in the required amount and efficiently in the external conditions and the needs of the building, automatically managing the operation of the unit. 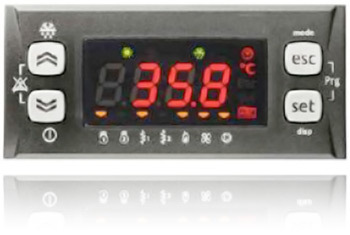 The display allows you to set and display parameters with ease of operation. 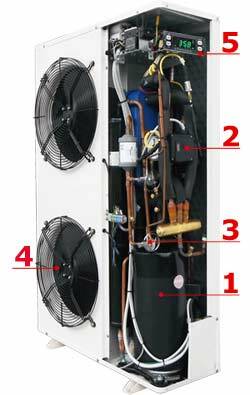 Where to use the heat pump Inverter Air? 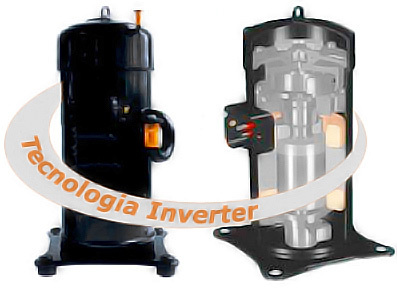 The units of the Air Inverter range are designed and manufactured in Italy according to high standards of quality and safety. 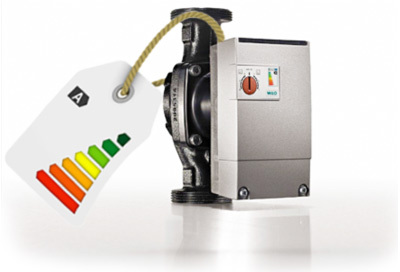 Harness the power modulation enabling high seasonal efficiency. The circulator with EC motor with permanent magnets allows a high energy saving. Optimizes the operating conditions of the refrigeration circuit. Are very quiet and significant energy savings. 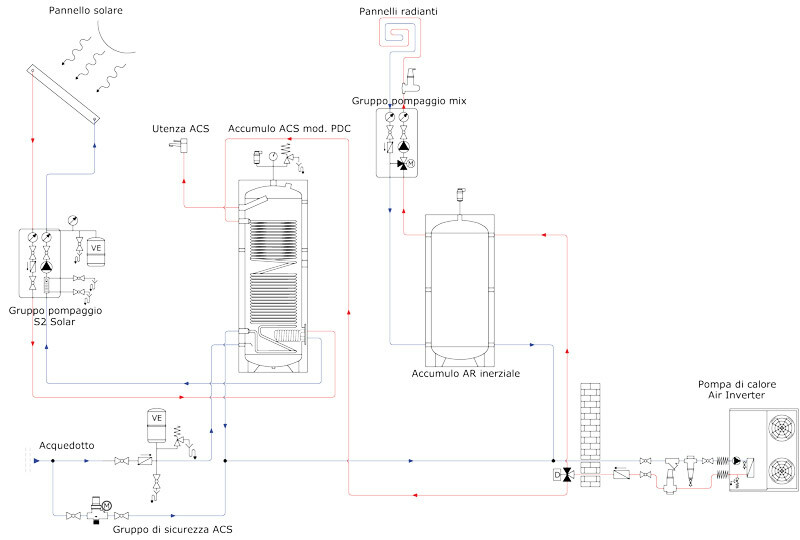 Easy to read and easy configuration of the operating parameters. EER (EN 14511: 2011) coefficient of performance in cooling. The ratio between the cooling capacity and the electrical power consumption according to EN 14511: 2011. The power consumption is the sum of the power absorbed by the compressor + power consumption. 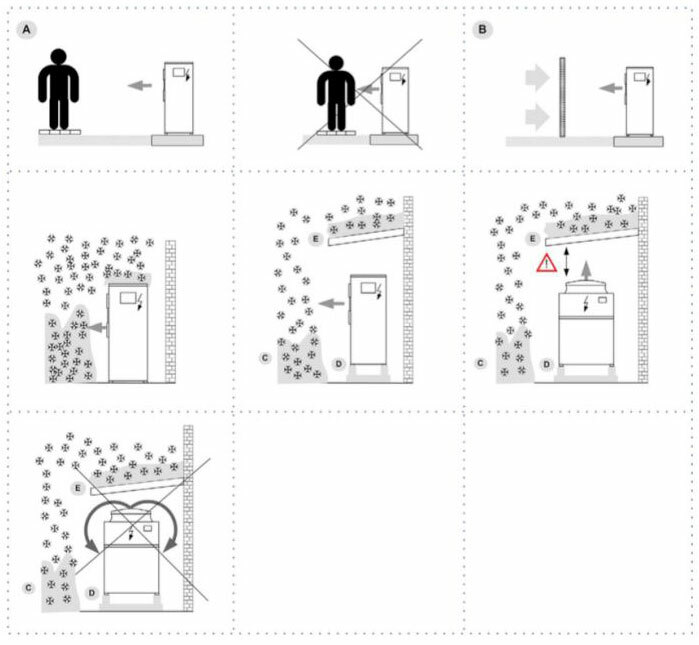 prefer places where the unit will not cause a nuisance to neighbors. 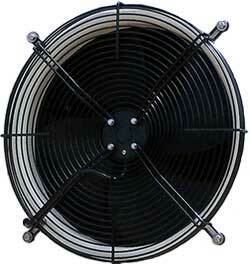 Proper air circulation is essential to ensure the smooth operation of the machine. A Maintain minimum distances from pedestrian streets. B- Predicting wind barrier in case of locations with strong winds. C- Do not obstruct snow accumulations of batteries. D Install the unit raised from the ground. 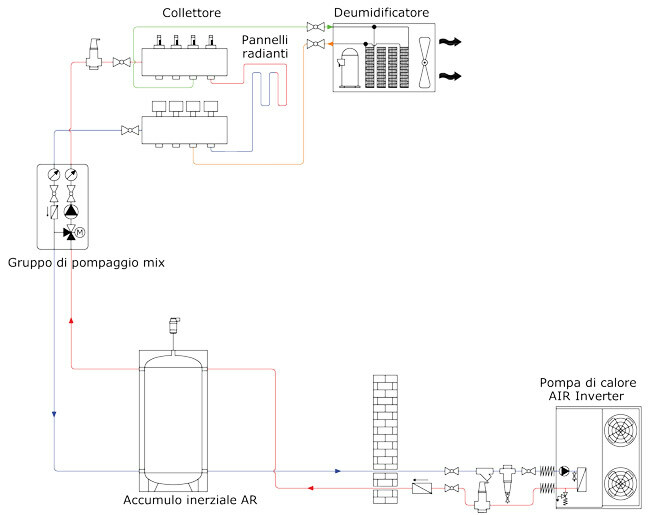 Application example: heating and cooling with dehumidification intake. inverter heat pump with storage tank, pumping unit, radiant and dehumidification plant. 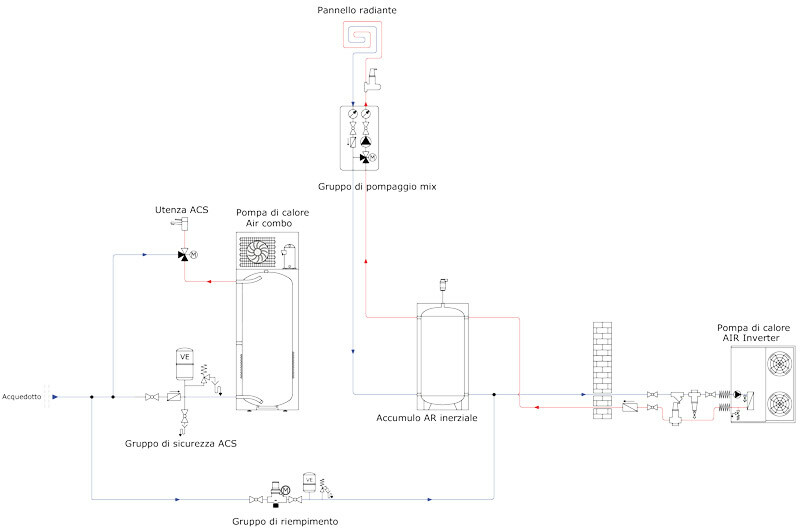 Application example: heating and cooling and domestic hot water. inverter heat pump with storage tank, pump unit, heat pump with storage tank and underfloor heating. inverter heat pump with storage tank, pumping unit, radiant and solar thermal system.